Once upon a time, we relied on old-fashioned items, such as rotary telephones or phone books to place a phone call or find a phone number. This was the norm for everyone, so we didn’t really think much about it. But when older family members developed ailments such as arthritis or impaired vision, simple tasks became difficult. Today, thanks to technological advances, we have virtual voice assistants such as Siri, Alexa, Echo, and Google Home, and they can do wonders for people who may be in the beginning stages of losing their independence. 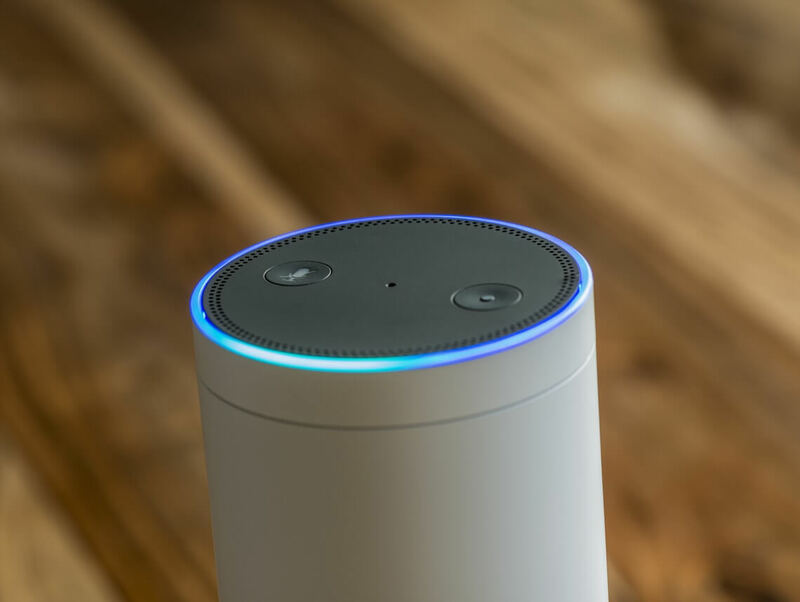 In the spirit of helping you find ways to make your loved one’s life easier, we’ve compiled a list of the best Alexa skills for the elderly. If your loved one needs to get up early for a doctor’s appointment or even if they simply don’t want to miss out on their favorite morning show, they can instruct Alexa the night before to wake them at a specific time. They can even choose how to be awakened, such as: the sound of waves or a favorite song. Even if you live with your elderly parents, staying with them around the clock is nearly impossible. Between work, running errands, and other family responsibilities, it’s good to know that you can preset specific dates and times for Alexa to send reminders by simply stating: “Alexa, remind me to take Ibuprofen at 4:00PM”. With Alexa’s Drop In feature, your loved one can ask Alexa to “drop in” to another room in the house. For example, if your elderly parent is in their bedroom and you’re in the kitchen, the voice assistant in their room can connect to the voice assistant in the kitchen so they can communicate with you. If your elderly parent or grandparent has a knack for placing something in the oven or stove, then sitting in front of the TV and forgetting about it, take a sigh of relief: Grandma can start cooking and tell Alexa to remind her to turn off the stove in 15 minutes. If cold temperatures, rain, or humidity make your family member’s arthritis flare up, now they can know in advance whether they should reach out for their painkillers. Alexa can be instructed to tell jokes, play a podcast, ask trivia questions, play music, or read audio books. Once the device is linked to an Amazon account, your elderly loved one can order regular items that are often purchased at drugstores or grocery stores: “Alexa, reorder toilet paper/paper towels/shampoo and conditioner”. These features can be used by the patient as well as the caregiver, and they are as simple to use as a voice command. All you need to do is download the app and sync phones and devices so they all work together to keep everyone connected. At Sonas Home Health Care, we understand that you want the best care for your loved one. We can help you utilize technology to assist in providing the best care possible.